- 12 Blok Pangsapuri Kerajaan Di Atas Parcel 18R12 & 18R13 Precinct 18, Putrajaya. 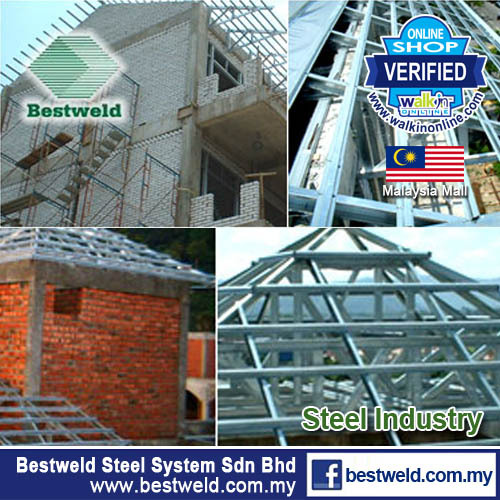 Bestweld Steel System Sdn Bhd (BSS) is a Malaysian-owned company with extensive hands - on experience in Light Gauge Steel construction. We have earned the reputation of market leader in the steel industry. Services include design, calculations, endorsements, supply and installation. Our mission is to consistently provide our customers with the highest quality workmanship, service and materials available to our industry. We are also one of the first Accredited Installer Certified by JUARA STEEL SYSTEM SDN BHD and UAC STEEL SYSTEM SDN BHD and has successfully completed hundreds of projects throughout Peninsular Malaysia. 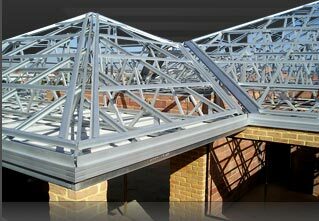 At Bestweld Steel System, we are pleased to offer high quality Light Gauge Steel (LGS) products and services including Steel Roof Trusses, Pre-Engineering Building (PEB) System, Awning, Metal Door & Window Frame, Fascia & Gutter Systems, and Insulation for Roofing that are ideal for use in Residential Structures, Schools, Hotels, Shopping Centres, and more. Engineering Design Services is offered for all of these products. We are constantly developing new research methodologies and adopting the latest in Australian steel-making technology to improve and customise product designs to suit industrial needs. You can be assured of superior quality products that are compliant with international standards. Since the over exhaustion demand on timber has caused the timber roof truss construction to grow scarce, steel truss is an excellent substitute and as the steel truss is a galvanized based material, it has demonstrated to be a very enduring protection. 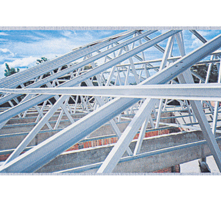 All of Bestweld Steel System products are cold-formed from either zinc/aluminium aloy or zinc coated steel to preserve the quality of the trusses. Bestweld Steel System manufactures a full range of steel roof truss systems which includes truss sections, roof batten and its accessories that meets all international standards. These reliable and high-quality roof trusses has been supplied to projects like schools and public buildings. Steel is a superior product for long term investment, with the added advantages of being light, strong, non-combustible, termite proof and will not shrink or wrap. Steel truss has the durability and structural integrity to easily outlive the life of your building. 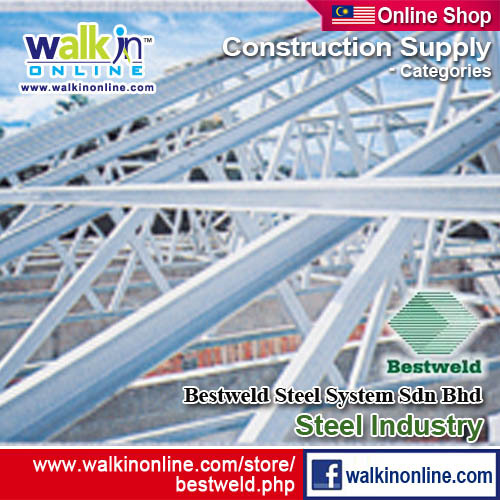 For many years, Bestweld Steel System has been the soul of modern architectural structures. Its superiority stems from a strong, yet lightweight zinc coating, termite resistant, non-combustible steels that offers structural intergrity and durability that will outlive your expectations and the lifespan of your building. 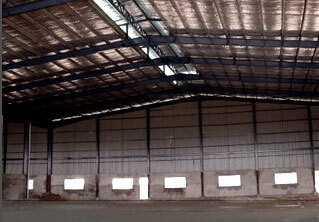 Services include design, calculations, endorsements, supply and installation of steel roof trusses. A new building system created from intensive resarch and development. Is is designed by the design team of Bestweld Steel System to develop the most advanced building system and to provide a complete building solution. The building are supplied with fully galvanized frames that comes with as attractive finishing, hence eliminating the need for any on site painting and welding. All frame components are manufactured from high tensile steel and are completely pre-fabricated and pre-punched so that they can be easily bolted together on site. The modern, good looking economic alternative to timber, forms part of a total system of rainwater goods such as roof and wall cladding, gutter, capping, and down pipe. It is straight, true, shrink and warp proof and is made from an aluminium/zinc alloy coated steel which gives years of life. METAL FASCIA is used as both Fascia and Barge and is mounted on adjustable pressed steel brackets using a very simple fixing method.